Should I use more than one estate agent to sell my house? 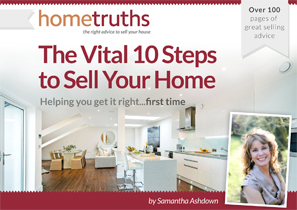 I often get asked the question, “Should I use more than one estate agent to sell my house?” Once upon a time, this strategy made perfect sense. After all, before properties were advertised on the internet, how else could you make sure that buyers across different geographical areas would see your home, if you didn’t use two, three or more agents to market it? But then came the property portals, and everything changed. Almost all buyers (93% at last count) look online to find their home, often browsing a couple of portals, then simply call the relevant agent to book a viewing on a home they like. What’s the point in being listed twice like this? So is there any point these days in instructing more than one agent? The short answer is ‘no’. 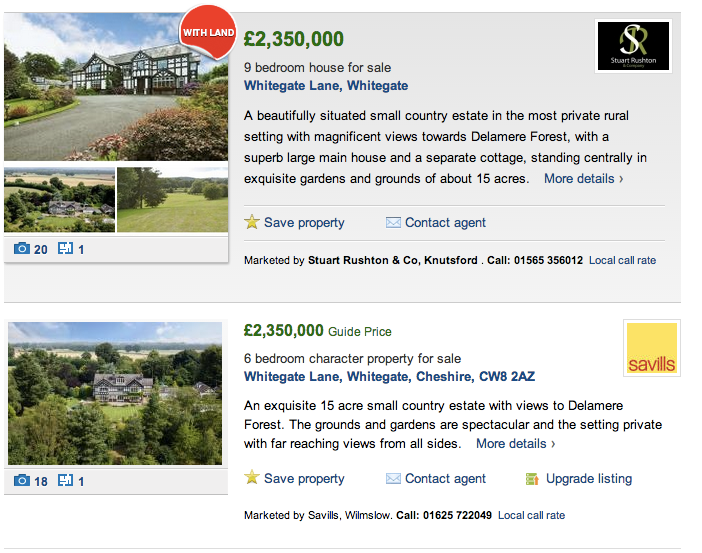 If a buyer spies your home listed several times online, at best it’s annoying, and at worst it’s misleading, because if the agents involved have used different photographs and descriptions to advertise the property, a buyer could be forgiven for thinking that the adverts belong to different houses. And doesn’t this look like a different property? It’s not! When a buyer enters a search criteria on one of the property portals, properties appear in a list, in descending price order, ie with the more expensive houses showing first. 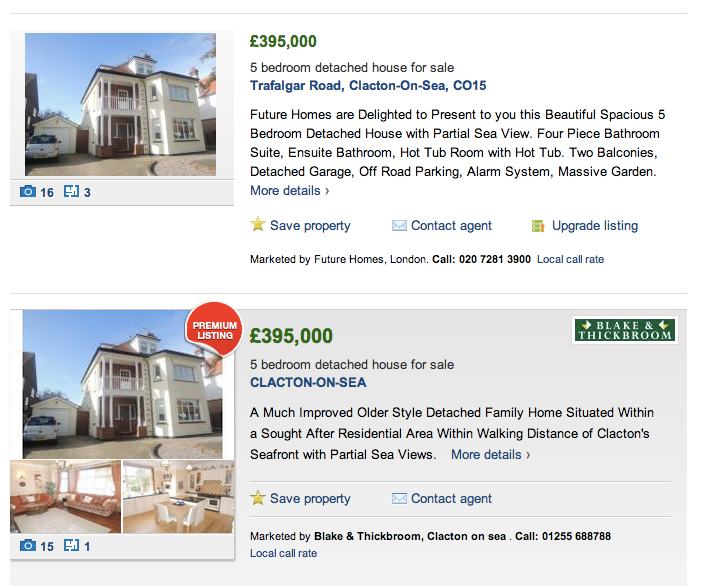 Any properties that are marketed at exactly the same price will appear in a random order, to be fair and not favour any particular agent. However, one agent I know gets around this rule by adding a pound to his prices, so that his properties will show first, and therefore you’ll see property prices like £300,001 from him! Another factor to bear in mind, is how does it look to a buyer if you as the seller have instructed several agents? Desperate perhaps? In need of an urgent sale? This could have the effect of generating some very low offers from those buyers looking for a bargain, whilst genuine buyers may stay away completely, fearful of being stuck with a property that they themselves can’t sell when the time comes. Finally, there’s the question of cost. If you instruct more than one agent, depending on the type of agency agreement you have, you’ll either pay the standard agency fee, but only to one of the agents; sometimes called ‘winner takes all’. Or else you’ll pay a higher fee, and it’ll be split between the two agents, typically 2/3 1/3 or else 50/50. The average uplift for a joint agency agreement is around 25%, meaning that if the average fee in your area is 1.5%, you will be paying 2% – 2.25% for a joint agreement. This could be an extra £2250 on a £300,000 house – not an inconsiderable amount, particularly if it doesn’t actually net you any higher a sale price! When you decide to sell your home, my advice is to choose your agent very carefully, and focus all your efforts on making that relationship work. Ultimately it will serve you well and give out the right signals to instill buyer confidence. So pick slow, pick wisely, and pop into their office with cupcakes every now and again!